The signature fried chicken at Southern Proper. Summer is nearly over, and Labor Day is upon us. Time to reimmerse ourselves in routine, to hunker down and settle in. 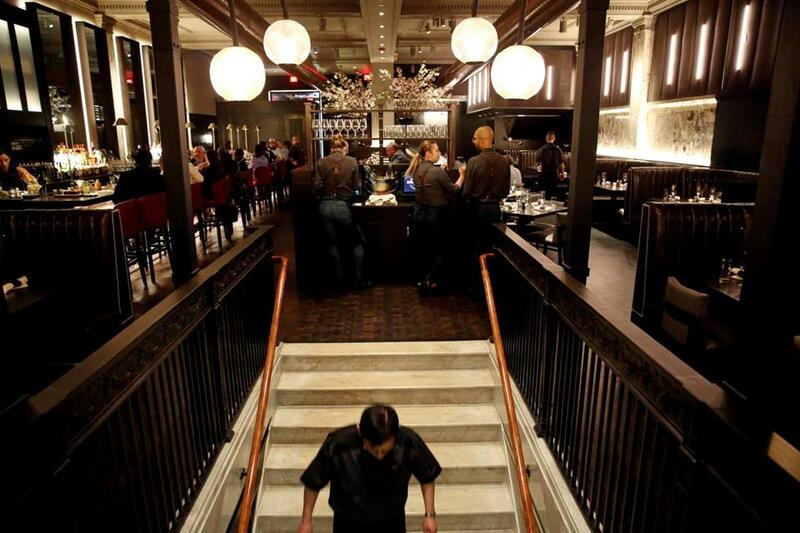 Fall is the perfect time to get reacquainted with our own city, and with its restaurants. Summer can be slow, with many people out of town. Business owners are glad we’re back, even if we aren’t. So where to eat? Here are a few places you may have missed out on earlier in the year, a few that just opened, and a few to look forward to in the coming months. La Bodega cook Keara Garcia passed a dish off to a server in the front of the house prep station. Husband-wife team Gabriel Bremer and Analia Verolo for years ran Salts in Cambridge, serving an array of elaborately plated, flower-strewn dishes, but best known for its duck for two. La Bodega is something of an about-face. The trappings of fine dining are gone; the couple outfitted a vintage train car with a bar, and they serve small plates influenced by Spain, Basque Country, and Verolo’s native Uruguay. You might find wood-grilled octopus, wild mushrooms in escabeche, and Uruguayan-style empanadas, along with creative cocktails and a wine list made for exploring. And don’t worry. They still serve the duck for two. Just call to order it in advance. Boston Chops in Downtown Crossing. Perhaps you are familiar with the Boston Chops that’s located in the South End. Now the swank steakhouse has an even swanker Downtown Crossing sibling — a convenient location for lunch meetings and post-work gatherings. Chef Chris Coombs serves up a similar menu at this branch, and it’s hard to quibble: Each meal starts with the arrival of popovers and butter. Endless frites are doled out from a copper bowl. There are onion ring towers, seafood plateaux, an array of high-end steaks, and sticky toffee pudding for dessert. If you want to document your meal, there’s a special table for Instagrammers, with extra-good lighting. This quirky izakaya from chef Chris Chung (AKA Bistro, Uni) is a delight. The menu at the little East Cambridge restaurant is greatly influenced by Chung’s hometown of Honolulu. It includes poke, a loco moco (a beef patty with fried egg over rice), and Japanese fare such as sashimi and grilled rice balls. 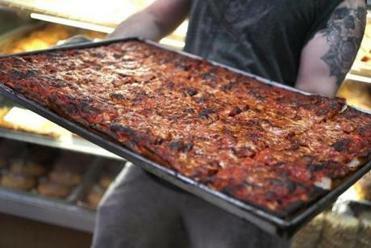 Much of the food is gluten-free. The drink is an equal draw. 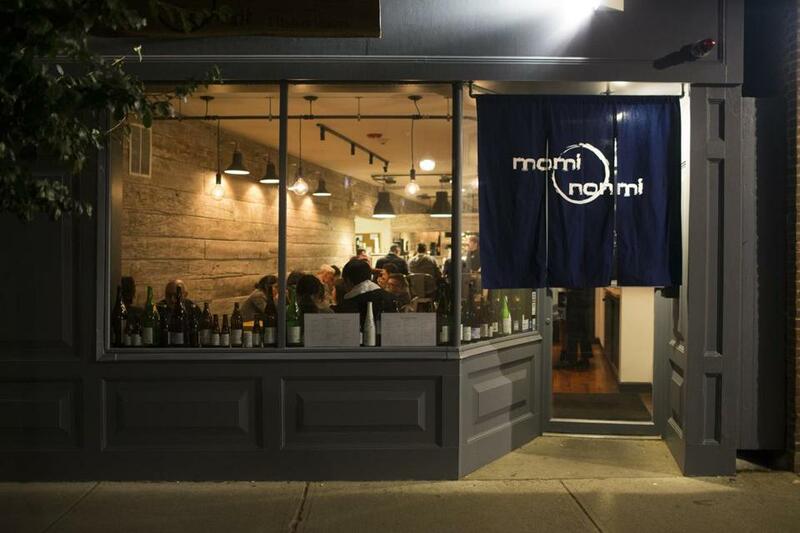 Momi Nonmi is one of the best places in town to learn about sake and Japanese whiskey. 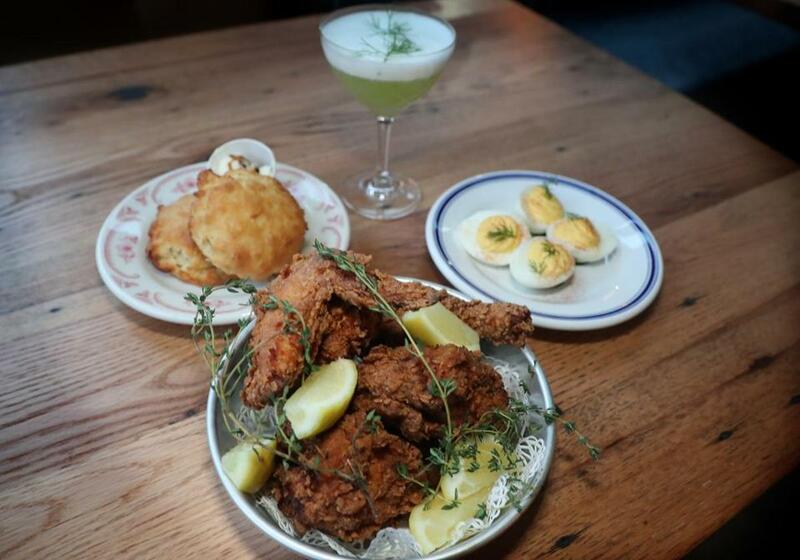 The signature fried chicken, deviled eggs, shrimp and grits, and classic biscuits served at Southern Proper. Break away from the crowds, the lines, the tourists and you’ll find where the locals are: at the hidden gems full of heavenly meatballs and perhaps the best cappuccino you will ever have. 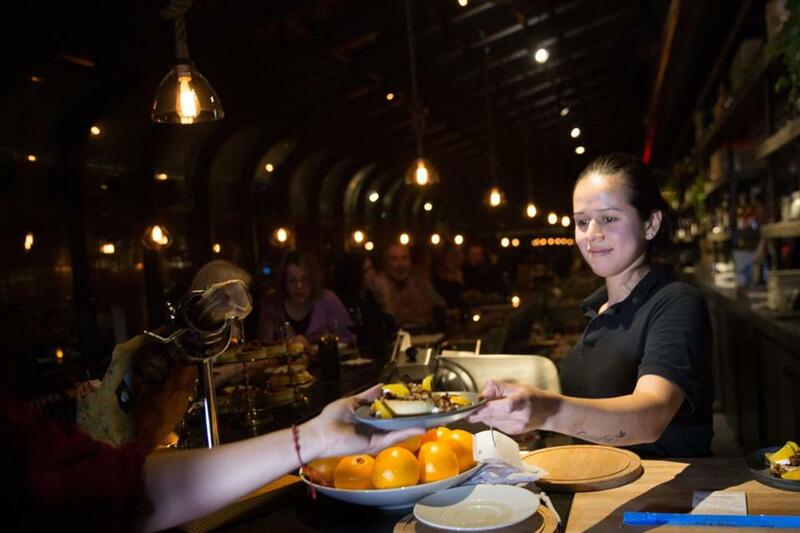 It’s a South End roadhouse: a vast, pine-beamed space where music plays and rye flows. Chef Jason Cheek (Coppa, Little Donkey, Toro) is originally from North Carolina, so he comes by this food honestly, serving up deviled eggs, popovers with pimento cheese, fried green tomatoes, and pulled pork with all the sides. But the reason you’re here is probably the fried chicken, served classic or (truly) hot. You can add a waffle for a few more dollars, and I really don’t see why you wouldn’t. This addition to the Seaport’s Innovation and Design Building is named for the Massachusetts state bird. Flock here for a Mediterranean-inspired menu from chef John daSilva (No. 9 Park, Spoke): whole heads of fried cauliflower draped in labneh ranch dressing; bigoli with littleneck clams and green harissa; porchetta with watermelon, peanuts, and chiles. Many of the people running the place met working at No. 9 Park, and Chickadee landed with polish. Boat noodles at Dakzen in Somerville’s Davis Square. The food of Thailand — complex, craveable, labor-intensive — is underrepresented in the Boston area, and we are missing out. 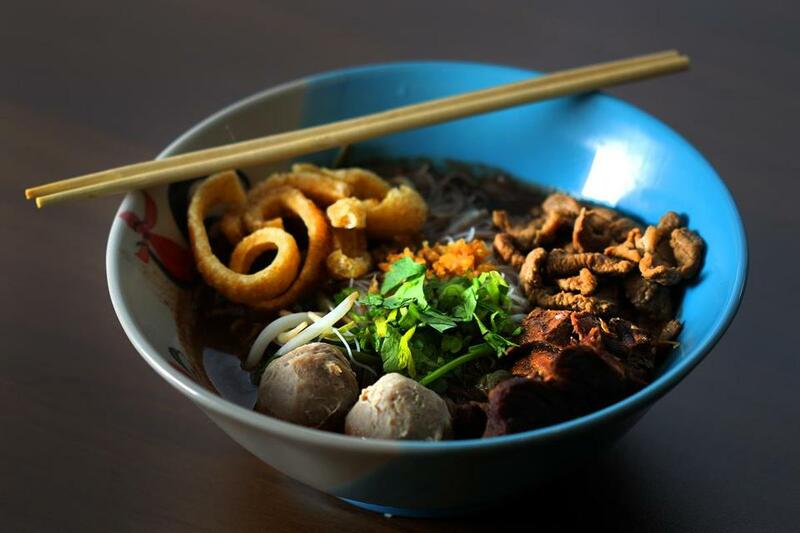 Dakzen helps fill that void, with a pared-back menu specializing in noodles and street food. Owner Panupak Kraiwong makes use of his grandfather’s recipes, serving boat noodles in a heady broth, the Northern Thai curry soup khao soi, real-deal pad Thai, and other flavorful dishes you’ll want to eat on the regular. Owner Haley Fortier at Nathalie. 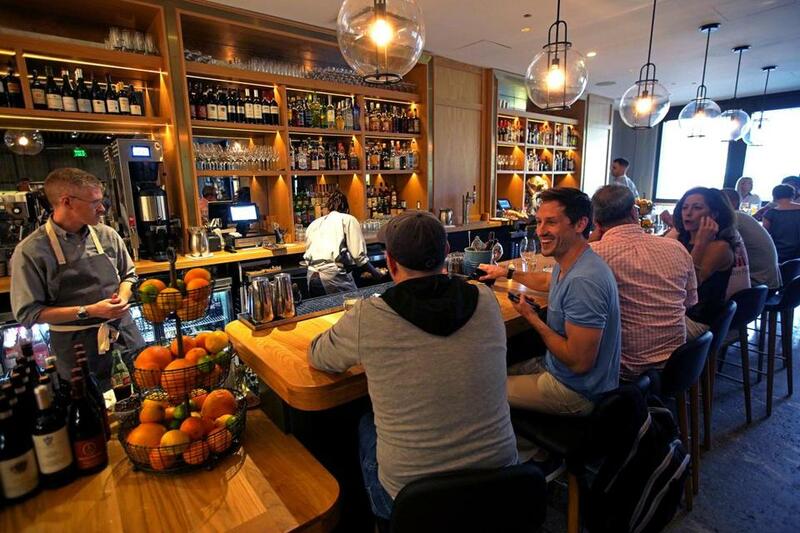 A second wine bar from the people who run Haley Henry, this one in the Fenway. The focus is on small-production, natural wines made by women. (As at Haley Henry, staff will open any bottle if you’ll commit to buying half.) The menu ranges from montaditos, toasts with various toppings, to corn bisque with crab to tomatoes stuffed with lamb and Gorgonzola cheese. Simultaneously cheeky and sophisticated, Nathalie is a bit of an oasis amid game-day madness. Karen Akunowicz at Myers + Chang in Boston. She is leaving Myers + Chang to open her own restaurant in South Boston. 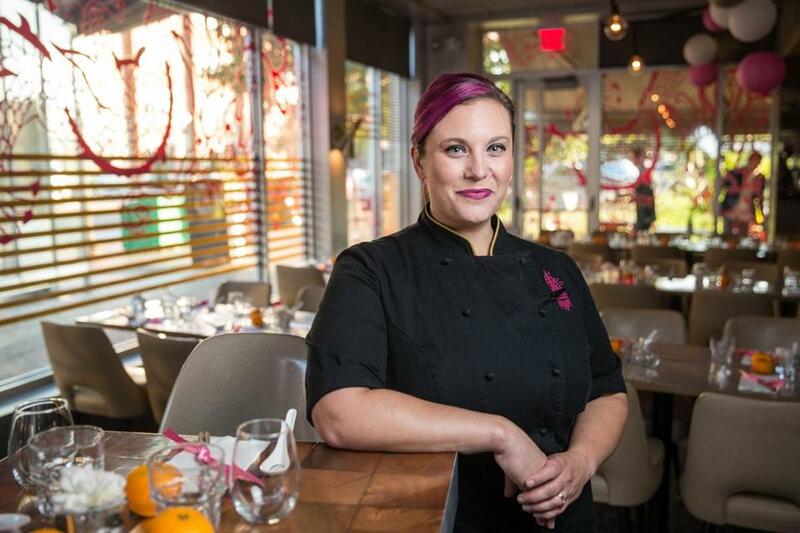 Karen Akunowicz, who won a James Beard award for Best Chef: Northeast earlier this year, departs Myers + Chang to open her own restaurant in South Boston. In the space that was formerly The Maiden, Fox & the Knife will be an Italian-inspired neighborhood restaurant with about 75 seats. Expect “enoteca vibes,” says Akunowicz. The chef lived in Modena for a year, learning to make pasta, staging at a trattoria, and becoming the chef at a little enoteca. “This is my ode to that period in my life,” she says. “In Italy, the only question as important as what’s for dinner is what’s for lunch.” The menu will include snacks, handmade pasta, and other simple food with bold flavors. There will be a focus on amari and natural wines. 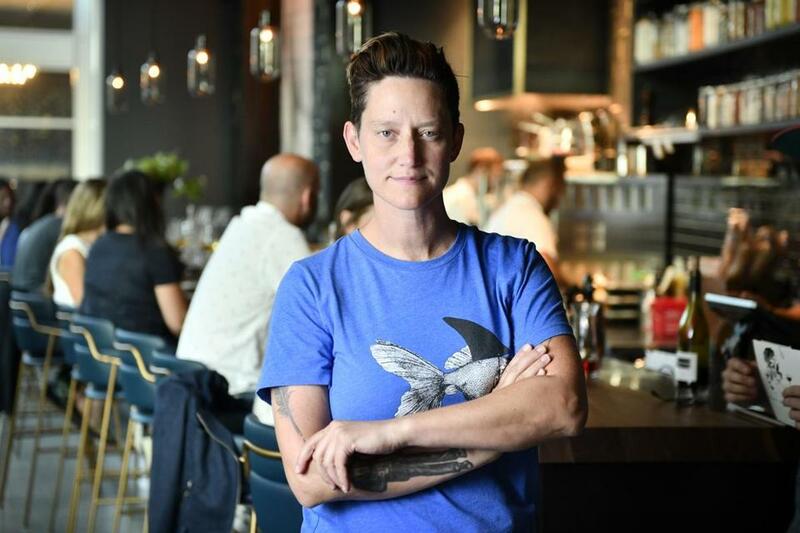 The opening team includes several former Myers + Chang employees: Tessa Bristol, who was sous chef there, and general manager Alexandra Hayden, whom you may also recognize from her time at the Beehive and Barcelona Wine Bar. Akunowicz is aiming for a November opening. “We just want to make nice food for people and make people happy,” she says. 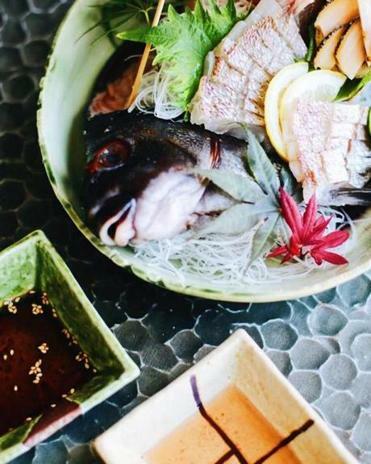 Kamakura will serve sashimi and other Japanese dishes. Chef Youji Iwakura took on a more-casual (albeit extremely serious) side of Japanese cuisine at Snappy Ramen in Davis Square. Now he is opening his own restaurant, named for his hometown, and casting his eye toward the rest of the canon — particularly kaiseki, traditional, artful multicourse meals. Kamakura, located in the Financial District, is expected to open in early fall. There will also be bento boxes for lunch, sashimi, and sushi omakase (chef’s choice). Don’t expect scorpion rolls: The menu at Kamakura emphasizes seasonality and authenticity, hewing truer to the form.